Athens is an interesting place. It is a wonderful community full of generous people and an engaging culture. Athens can also be very isolating for new parents. Whether you come here to pursue an education or a profession, odds are that you left your cultural and familial community behind. We have all heard the expression “it takes a village”. It takes a village to raise our children. It takes a village to raise ourselves. Once we enter our childbearing years, we need a community more than ever to help us find support, educational services, activities and friends. Historically, our community would include extended family and lifelong friends, but in today’s world it is considered “normal” to be separated from our families and cultural communities by many, many miles. Things change, and babies grow up, and in 2011 long time ACP member, Kate Hodges, came on board to help co-moderate the growing yahoo group. Kate shares Alexa’s conviction that community is vital for healthy, happy families. In spring of 2013, Alexa and Kate transitioned ACP to a Facebook group named Bloom parents and have been working together to grow the Bloom Community into a thriving online community. 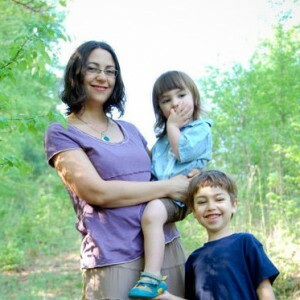 Kate is a nurse, childbirth educator and mama living and working here in Athens with Two Bee Birth Services. Alexa is a midwife and mama living and working here in Athens.